Sales of the Honda Activa have overtaking sales of the most popular motorcycle in India, making it the highest selling two-wheeler in India for the 2016 calendar year. The Honda Activa has become a household name in India owing to its overwhelming popularity in the scooter market thanks to solid reliability, durability and refinement. It has been reported that every second scooter sold in India is a Honda Activa and that recently the two-wheeler maker’s share in the scooter sales have gone up to 56 per cent. In fact, sales of the Honda Activa have gone up from 55,000 units in financial year of 2002 when it was introduced to a whopping 24.6 lakh units in FY16. In this process and with Honda’s bullish approach for the highly popular Activa name, leading to the scooter becoming the highest selling ‘two-wheeler’ in India for the 2016 calender year. The Honda Activa has managed this feat by consistently outselling the Hero MotoCorp Splendor in the first six months of the 2016 calendar year. Just to give you a context about the achievement, this is the first time in 17 years this has happened. From January to June 2016 Honda has sold 13,38,015 units of the Activa scooter while Hero MotoCorp sold 12,33,725 units of the Splendor during the same period of time. YS Guleria, senior vice president - Sales & Marketing, HMSI said, "Activa today represents the metamorphosis of the society. The superior convenience, unisex appeal coupled with product features (increased mileage, style and technology) has converted millions from pillions to riders. Honda's Activa has come to symbolize a remarkable blend of Reliability, Comfort & Convenience, Style and uncompromised performance. We thank our valued customers who have made Activa the most preferred choice of families for commuting in India. That's what we call Activating the Nation." 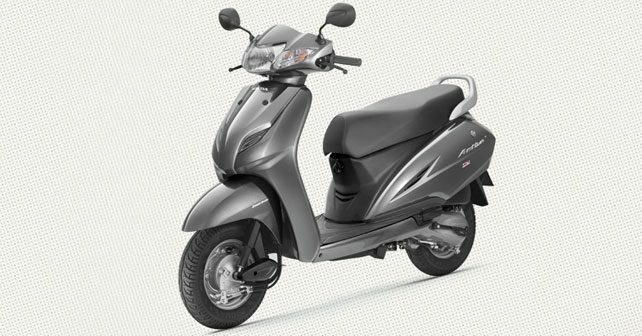 Honda currently sells the Activa in three versions, namely, the Activa I, Activa 3G and Activa 125. Prices for the Honda Activa model line-up range between Rs. 48,404 to Rs. 62,370 (ex-showroom Mumbai).